Work boots have evolved a lot throughout history. They’re a very specific type of footwear that’s done a lot to shape the world around us. Just to put it into perspective: every home you’ve lived in and every building that lines your city’s skyline was made by a dedicated construction worker wearing boots to stay safe. Needless to say, work boots are important. A solid pair of boots can last you for years. They’ll help you stay protected even in the harshest work environment. A few decades ago, there were only a handful of brands that produced high-quality options for hard workers. Today, there are too many to keep track of. Not only that, but many of the top brands continue to produce new offerings on a regular basis. It can be tough to figure out which one is best. To help make things easier for you, here’s a list of some of the most popular work boot manufacturers. Caterpillar is a name that’s synonymous with quality. The company was originally started in way back in 1925 as a tractor company in California. It wasn’t until 1994 that they started to produce footwear. The company continues to specialize in building large tractors and construction equipment. You can see the brand’s iconic yellow logo on nearly every project site. As a result, their work boots are built for the people that are operating this gear. They’re engineered to withstand heavy use in extreme environments. They’re made from heavy-duty materials that can provide you with ample protection on the work site. Some of their most popular boots include the versatile Outline series and the Salvo line with waterproofing features and a steel toe cap. Originally known as the Chippewa Shoe Manufacturing company, this brand has been crafting fine work boots since their infancy. As the name may suggest, they were founded in Chippewa Falls, Wisconsin in 1901. Over the last decade, they’ve grown in popularity thanks to their impressive construction quality. Their boots are made for rugged outdoor work. Most of their products feature waterproofing features and high uppers that rise well above the ankles. They can help to keep you dry by preventing water from getting in. As a result, these boots are ideal for those that work in forestry. With an average price tag of about $200 a pair, you can rest assured that these boots are built to last you for quite some time. Carhartt has a history that’s steeped in blue collar work. They were originally founded in 1889 by Hamilton Carhartt. Around this time, the railroad construction industry was booming. The company focused on creating durable work clothing and footwear that would keep people safe on the job. This focus on protection and safety has continued even today. Carhartt work boots are built to withstand tough working environments. High-quality leather is used throughout while a prominent heel adds stability. Boots are moderately priced compared to other popular brands. One of their most popular offerings is the MCF6366. It features a composite toe cap and ankle covers that rise 6-inches from the arch. 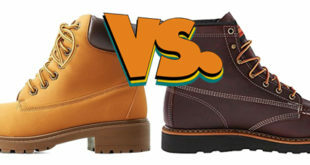 Timberland is, perhaps, one of the most influential brands of the bunch. They were first established in 1918. Back then, they predominantly made outdoor wear for hunters and explorers. However, in 1956, Timberland introduced injection molding technology to the footwear industry. This lead to the creation of one of the first waterproof boots on the market. Since then, the brand has continued to come up with unique innovations that help to shape the industry as a whole. The company has numerous lines and subsidiaries, included the famous Timberland Pro line. Timberland Pro boots continue to be the go-to options for many workers because of their exceptional build and protection. This brand is known for making exceptionally high-quality boots that last a very long time. They have a higher price tag, but the materials used and construction techniques applied to create these boots are well worth the investment. The company was founded in 1905 by Charles H. Beckman. The unique thing about Red Wing boots is that they can easily translate into everyday life. The company has paid attention to how style has evolved throughout the decades and adapted accordingly. You can wear these shoes on a construction work site and leave them on as you make your way to a night out. They use high-quality leather and are available in numerous configurations so that you can get a boot that’s catered to how you work. Muck Boots specializes in creating footwear for those that work in some of the harshest environments out there. They’re completely waterproof and include insulation that’s designed to keep you safe and comfortable. Whether you’re working in knee-deep mud or in a snowy tundra, Muck Boots has you covered. They’re fully capable of keeping you protected even in sub-zero weather. The company is relatively new to the market compared to others. It was only started in 1999. However, since their infancy, the brand has only continued to grow in popularity. 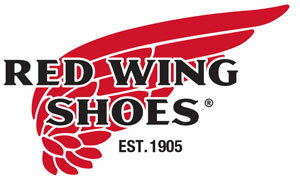 This is thanks to their superb product line and high-quality construction methods that lead to long-lasting footwear. Irish Setter burst into the market in 1950 when the iconic Style 854 was first introduced. The company is known for creating durable leather boots that can withstand wet environments. As a result, it’s one of the most popular brands amongst farmers and forestry workers. The name of the brand comes from Red Mike. Red Mike was the company’s first mascot. Fittingly, it was an Irish Setter dog. Today, the company continues to produce versatile boots for any worker. They’ve expanded their offerings to provide footwear that’ll keep you protected from water, crushed, and electrical hazards. One of their most popular boots is the Ashby 83606. Keen is one of the newest brands to emerge in the growing work boot market. They were founded in 2003 by Martin Keen in Rhode Island. Today, they’re headquartered out of Portland, Oregon. The company offers a wide range of clothing and footwear options. This includes unique work boots that are affordably priced. Despite their lower price tag, the boots that Keen produces are built to last. They’re carefully crafted in the U.S. and have great features like molded toe protection, contoured arch support, and much more. The brand also creates shoes that are specifically designed for certain uses. They have a line for construction workers, people hiking through uneven terrain, and those that stand on hard concrete. Danner offers protective work boots that are stylish and ready for any occasion. Each pair of boots with the Danner name is made by skilled craftsmen. The company is more focused on producing high-quality footwear options for workers rather than pumping out thousands of boots to please the masses. This results in great shoes that are capable of lasting you for years. 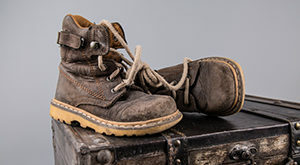 Danner was started in 1932 but didn’t become as popular as it is today until 1994. This is when it was acquired by LaCrosse, a renowned fashion shoe company. One of Danner’s most popular boots is the 6-inch Bull Run work boot. It has leather uppers, synthetic soles, and OrthoLite inserts. Founded by Klaus Marten in 1947 Dr. Martens has gone on to become one of the most popular shoe brands in the world. These boots have a distinct flair that makes them appealing to just about anyone. 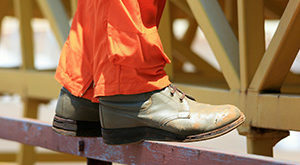 You won’t find it difficult to find the same boots being worn by a construction worker and a model stomping the runway. They’re embraced by the fashion world despite having features that are designed for blue collar workers. They’re made from high-quality leather and utilize technology to create air-like soles that stay comfortable all day. With all this high-quality construction, Dr. Martens don’t come cheap. However, they’ll easily hold up to whatever you throw at them. These brands have done a lot to help workers throughout the decades. 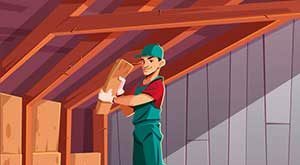 While there are many other great manufacturers out there, these 10 have proven to be the most popular. 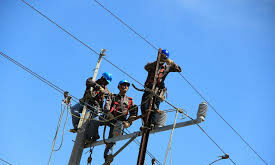 Whether you’re looking to get boots that keep you comfortable as you stay on your feet all day or you’re on the hunt for footwear that can keep you grounded during electrical work, these brands are sure to offer something that meets your needs.